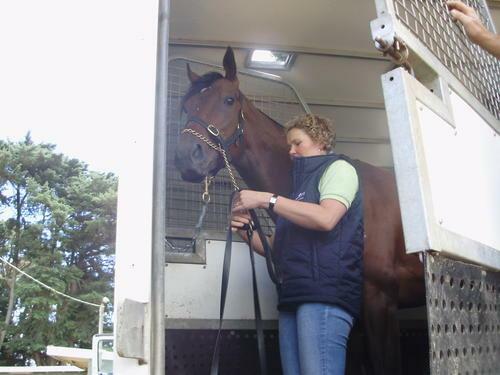 Tony Noonan Racing :: ORTENSIA IS ON HER WAY TO HONG KONG! ORTENSIA IS ON HER WAY TO HONG KONG! We are delighted to advise that ORTENSIA has just left the stable and is headed for the airport to fly to Hong Kong later this afternoon. She is looking fantastic and Tony Noonan and the stable are very excited about her racing in Hong Kong. She will arrive in Hong Kong Wednesday morning our time and will do her first work over there on Thursday morning. Lisa Jones and Jake Noonan have accompanied her and we looking forward to the updates and we will be sure to post them on our website!